A gradient is a combination of 2 or more colors blending into each other, a color technique used quite often in UI design recently. When you select “Gradient” from the dropdown at the top of the color picker, a horizontal stripe will be displayed just below it, where you will be able to preview and edit your gradient. The two small circles that you see at each opposite side of the gradient stripe (1 & 2), are the two colors currently used in the gradient. If you want to change those colors, you have to click on one of the color stops and select a different color from the color picker. Some color stops (3 & 4) are also displayed in the gradient editor that appears on the object your gradient is applied to. 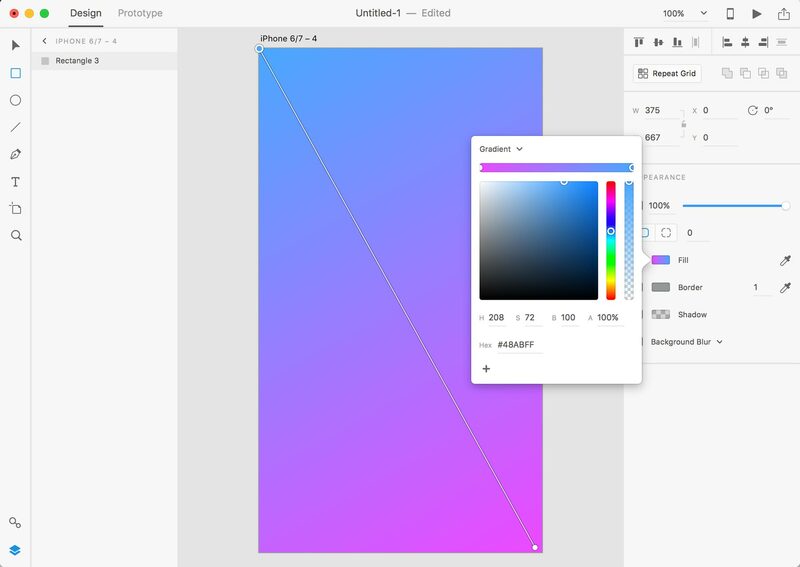 You can change the color of your gradients from there too, and you can also change the gradient direction, by moving the color stops in different directions until you reach the desired result. By default, a gradient has 2 color stops, but you can add more colors if you want: just click on the gradient stripe in the color picker. Each time you click, a new color stop will be created. The new stop will immediately be created also in the gradient editor on top of your object. 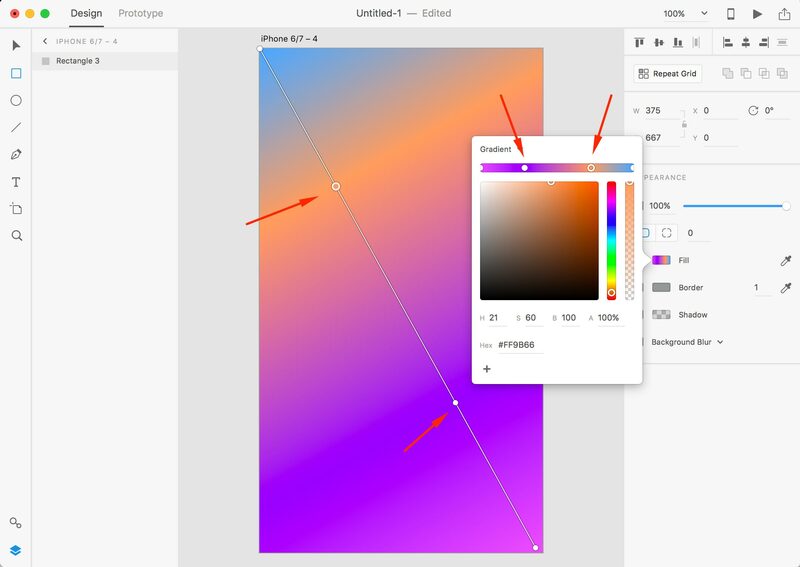 At the moment only linear gradients are available in Adobe XD, but this is more than enough to come up with some very cool gradient effects!